The next film on the list of films I’m catching up on is 2010’s “Yogi Bear.” Based on the classic Hanna-Barbera cartoon, the movie, like most live-action versions of cartoons, takes various liberties with the original material, and (like live-action versions of cartoons) comes off as inferior to the original. The plot of the film sees Ranger Smith (played by Tom Cavanagh), a nature documentary filmmaker (played by Anna Faris), and of course, Yogi and Boo-Boo (played by Dan Aykroyd and Justin Timberlake respectively) trying to stop the greedy mayor of an unnamed city from shutting down/selling off Jellystone Park. Since you’re probably wondering what’s wrong with this film, I may as well make a list. It’s yet another live-action film with CGI characters voiced by celebrities, which despite such films doing mediocre more often than not, keep getting churned out by Hollywood. I should note how tired I am of CGI cartoons and how I’d rather have seen a well-animated 2D animated film, something the end credits’ animation suggests could’ve been nicely produced. However, I may as well be talking to a wall as far as Hollywood’s concerned. Jellystone Park for some reason is treated as a local city-run park. That differs from the original series, where it’s a always been a US national park. In case Hollywood forgot, Jellystone’s a parody of Yellowstone National Park. One of Yogi’s classic lines was always citing how he’s a “government-protected creature,” as in federal government. If they had to demote it from the federal level at all, I wonder why they didn’t go for making Jellystone a state-level park instead (and make the mayor a crooked governor running for re-election). It still would’ve kept the plot intact. The only female character (not counting the park visitors, of course) is Anna Faris’ character. It wouldn’t have hurt to have thrown in Cindy Bear as well. Cindy might also have helped stretch out the film’s rather short running time of 80 minutes. 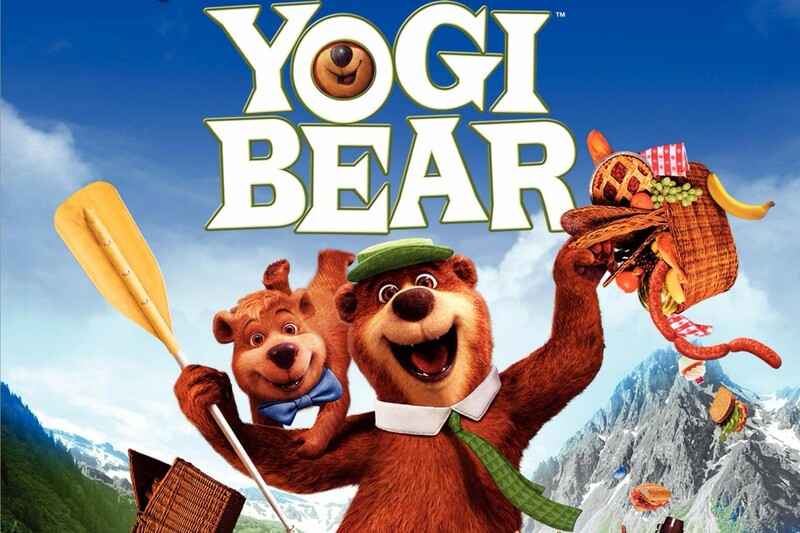 The soundtrack doesn’t use the famous “Yogi Bear” theme song, for some reason. As for what’s right about the film, I’d have to say Justin Timberlake’s voice work for Boo-Boo. While Aykroyd’s Yogi was so-so, Timberlake’s Boo-Boo sounded rather dead-on. I wouldn’t have expected that for such celebrity-driving voice casting. Despite the film’s flaws, it actually did well at the box office, making a profit domestically. It also did well overseas.